In the aftermath of the October 1 mass shooting in Las Vegas last year, the city that is universally recognized as boisterous and excessive became suddenly silent. The unthinkable had happened – and Las Vegans were left with sadness, fear and a multitude of questions. And while the city would quickly rally together, epitomizing the ideals of love over hate through the #VegasStrong campaign and others, those dealing with the tragedy hands on, day after day, would need some extra support. 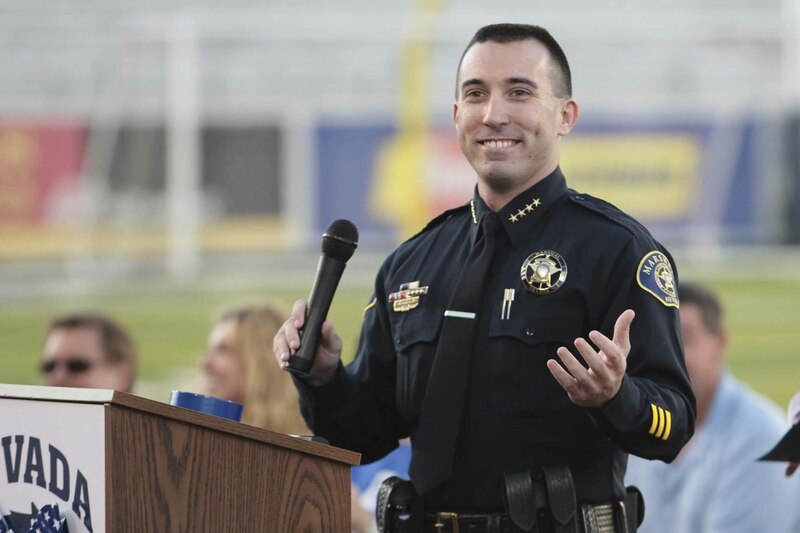 Robert Woolsey, the operations lieutenant and acting chief of the Las Vegas Marshal’s Office and Law Enforcement Torch Run (LETR) Region VII Coordinator, was one of the lead law enforcement agents coordinating the immediate response on the victim’s side of the horrific event. His staff was responsible for everything from cataloging and returning items left at the venue, to contacting family members, to identifying the deceased. His time was split between the hospital and the coroner’s office. In addition, his department was assisting with added security throughout the city and helping with the arrival of the president and vice president. This was Woolsey’s “new normal.” Twelve to 16-hour days, very little sleep, intense stress, constantly dealing with grief – both from the victims and processing the emotion for himself. With little interaction with the outside world for weeks, he was consumed by his mission of service. So when Woolsey received a call from the U.S. Marshal’s Office one day alerting him that they’d received a package for him by mistake, he figured it was the least of his priorities. He was working at the emergency operations center at the time, very busy, and picking up mail was not something he wanted to spend time doing. Yet the office was persistent, even if vague, in their desire for him to come and retrieve the package at their nearby office. It was something that he needed to see. Woolsey eventually made it across town to the U.S. Marshal’s Office that day. He was greeted by a group of agents who, after he took the package and attempted to leave, insisted that he open it right there. Woolsey finally relented and opened the package. Inside were cards upon cards, stuffed to the brim, all handmade from Special Olympics athletes on the East Coast. 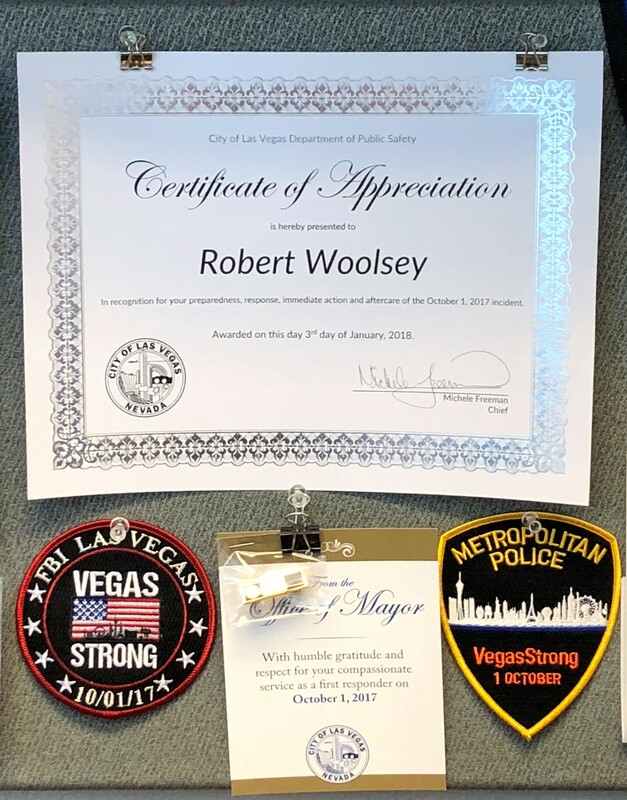 The cards, each personally written and/or drawn, expressed their love and appreciation for Woolsey; their thankfulness that he was OK; and messages of support for him and his fellow law enforcement officers. Under the cards, Woolsey found more than 50 medals that athletes had sent to him to show their support. The letters and medals came from athletes in LETR Region 1, which includes Connecticut, Maine, Massachusetts, New Hampshire, Rhode Island and Vermont. Joe Carlone, LETR Region 1 coordinator, and Lisa Carlone, senior director of special events for Special Olympics Connecticut, helped collect the cards and medals from athletes in their area and mail them to Woolsey. The idea originated after Connecticut LETR representatives had received cards and medals from athletes in the wake of the Sandy Hook Elementary School shooting in 2012. Receiving the support from Special Olympics athletes gave Woolsey an uplifting spark that he needed in a troubling time. He still has all of the medals and cards that he received and treats them with the “reverence that they deserve.” To him, they are a reminder of not only the strong relationship between LETR and athletes, but of the prevalence of good over evil.